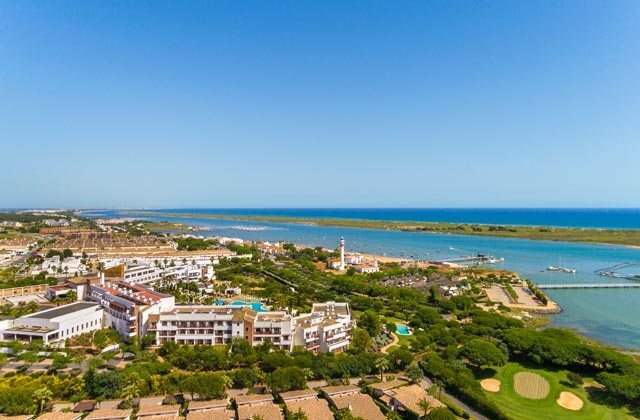 Costa de la Luz beaches are bathed by the Atlantic Ocean and display a natural face of great environmental value with a fine white sand typical of the desert. It is a coastline, mostly quiet and peaceful, an ideal option to sunbathe and rest away from the mundane noise. Do not think about it anymore and if you are already planning your holidays do not hesitate to contemplate this spot that occupies the provinces of Huelva and Cadiz among your destination options. You will not regret your choice. 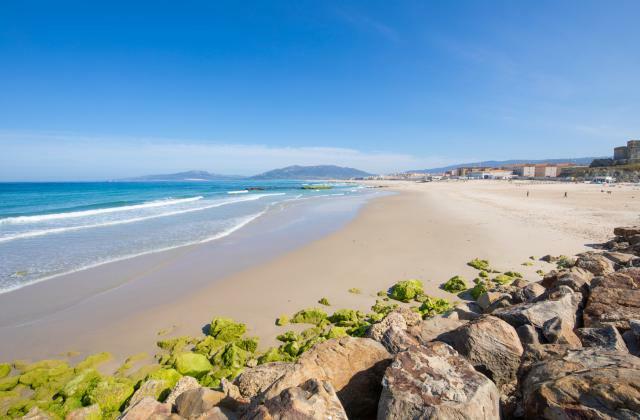 Take notes and write down the best beaches of the Costa de la Luz. In the Costa de la Luz of Cadiz there are beaches with as much history as Trafalgar, where in 1805 the famous battle was fought and movie beaches like La Caleta where 007, the most famous spy in history recorded scenes from Die another day. We can also find Cadiz beaches where to enjoy the vertigo of fly-surf and its comets, even those that exist in Europe are pioneers, since the one of Victoria was the first to obtain the certification of environmental management of the EU. In total, 83 different beaches where in many occasions the ocean merges with the mountain, delighting us with spectacular landscapes bathed by pines, forests and marshes. 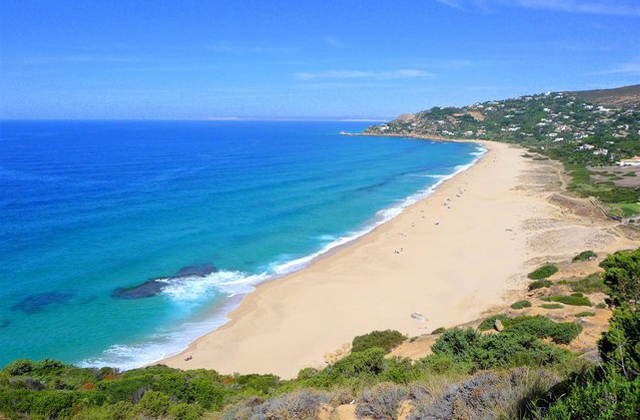 Bolonia is one of the best rated beaches in Spain. It is untamed, almost secluded, with white sand, and is one of the most important areas for nature lovers. 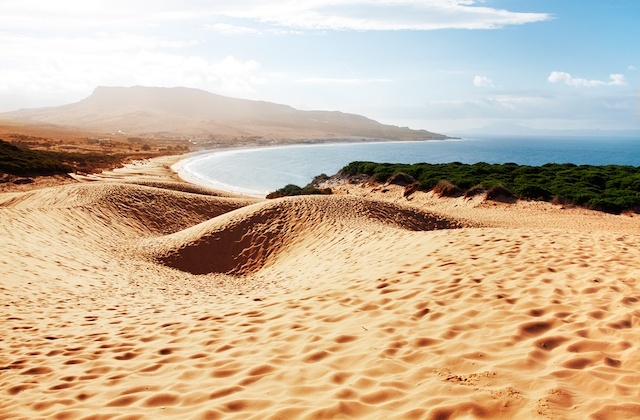 The dunes are another attraction that set this part of the Cádiz coast as one of the best in the country. These include the Dune of Bolonia Natural Monument which is over 30 metres high and 200 wide which stands out within this whole dune system to which it belongs. In addition, the area is near the Roman ruins of Baelo Claudia. 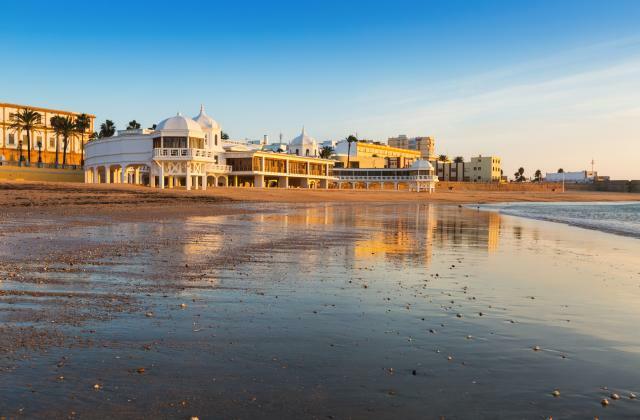 Don’t miss the beaches of Cádiz which will surprise you, especially this destination. La Paya de la Caleta is located in the historic centre of Cádiz. 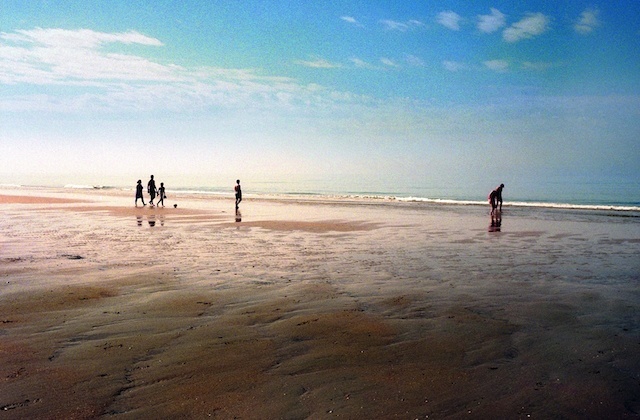 As with most of the Cádiz coast, it has fine sand and gentle surf. This place has one of the most beautiful images in Andalusia. In the background the typical small fishermen’s boats at sunset are straight out of a dream. It’s no coincidence that Hollywood movies have been filmed here, such as “Die Another Day”, “Alatriste”, “Manolete” and “Bewitched Love”. Be seduced by this beach known throughout the world through music and poetry. Its origins come from tuna fishing, as its name suggests, being one of the major tuna fishing locations in Andalusia. The sunsets that reveal the African continent and its locations with perfect natural mud for skin treatments are two of the most prominent features of this place. Zahara is a beach where you can relax, to rest and enrich your body, covering yourself with its marine remains which are mineral-rich. 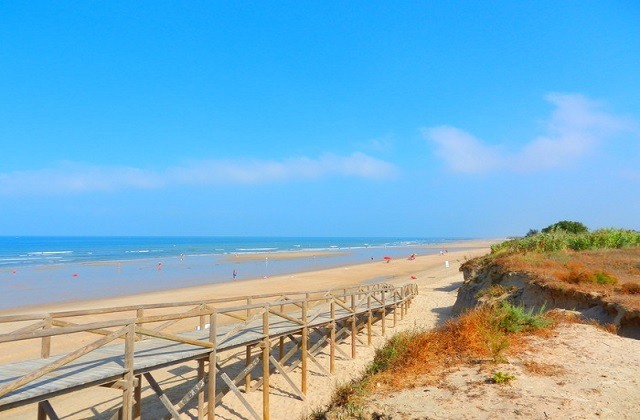 In the town of Chiclana de la Frontera is one of the most highly-rated coastlines in Andalusia, La Barrosa beach. From its coast, you can see the Sancti Pietri Castle among the deep blue waters. 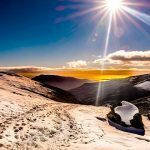 This area has an average of over 300 days of sunshine a year, which makes it a dream destination at any time of the year. Don’t miss this corner of the Costa de la Luz where the unique landscape and native vegetation will help you forget about the world for a few hours. One place to be if you want to relax and enjoy nature are the Caños de Meca. A succession of cliffs and coves with nudist beaches will give you that feeling of freedom which is so comforting for our body. Near this spot is the lighthouse of Trafalgar and it is amazing to think we are looking at the same sea, the same place, where the famous battle took place on October 21st, 1805 and there are still some sign of it on the rocks. 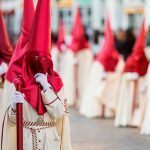 A unique experience not to be missed if you are in Andalusia. 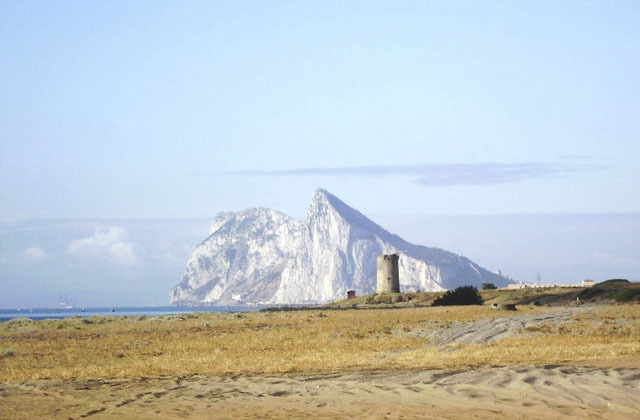 Tower Beach, as it is popularly known, is named after the beacon that towers over this site, a construction that formed part of the surveillance system of the Mediterranean coast during the 16th century against incursions by Barbary pirates. This beach is some 4,100 feet long and 394 feet wide. It is a very quiet beach located in the north of the city that borders La Atunara Beach to the south and La Hacienda Beach to the north. It has dark sand and the sea usually has moderate waves. One of its attractions is the landscape. The Rock of Gibraltar in the background turns it into a natural spectacle when the sun sets at dusk and the beach is practically empty. 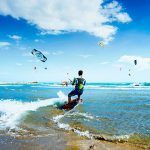 At 23,786 feet long from Punta de La Peña and Punta de Tarifa and 394 feet wide, this beach has two areas: Los Lances Norte, with a slightly urbanised beach and far from the town; and Los Lances Sur, very near Tarifa and busier. Its fine golden sand and crystal clear green water make it a heavenly place. It also forms part of a protected zone, the natural site of Los Lances Beach. Its worst aspect is the wind, which is typical for the area, and its best aspect is the young and fun atmosphere. This beach is highly recommended for days when the levant wind is strong. Given its geographical features, this cove is protected, while the other sandy beaches are attacked by the wind and can be rather uncomfortable. This semi-urban beach’s waters are fresh and crystal clear. The beach is 4,265 feet long and 262 feet wide. Access is a little dangerous, since you have to do down steep stone steps and there is very little parking, so you need to arrive early to find a space. 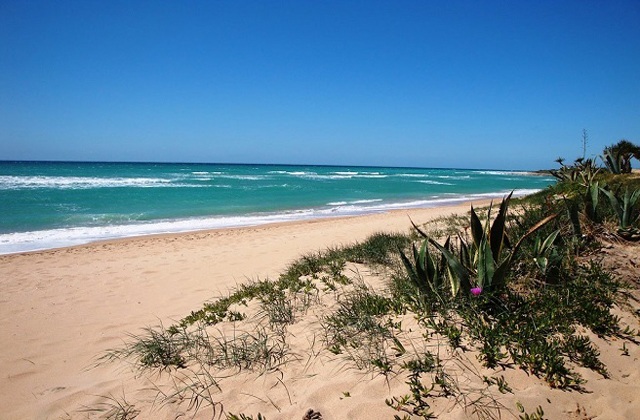 Near Conil de la Frontera you will find beautiful El Palmar Beach. A huge, fine sand paradise bordering Zahara de los Atunes on one side and Conil on the other. Threatened by the construction of a hotel, this beach is another favourite place of surfing lovers because of its fast, open waves. A few miles from Rota is Costa Ballena Beach. Situated in a quiet residential neighbourhood, this mile-long beach offers a wild paradise with fine, white sand. Its name comes from the legend of an old whale that swam around the coasts of the entire world looking for the most beautiful place to stay, and stayed here. Quiet, hidden from the winds around about, with fine golden sands and turquoise waters. This is the Cala del Aceite in Conil. This unspoilt beach has a low number of people who visit, so you can come here to hide, relax by the sea and enjoy a good read. An idyllic spot which is nestled in one of the most traditional villages of Andalusia, Conil. 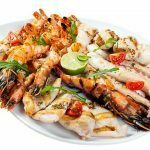 Its aesthetics, the warmth of its people and its love of seafood will steal your heart. 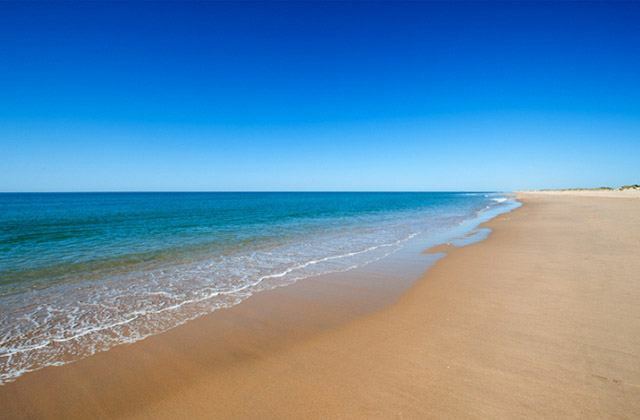 The Costa de la Luz of Huelva has infinite beaches with soft golden sand, almost white at times; And about three thousand hours of sun and a pleasant average temperature that fills the corners of its coast of an almost magical light. 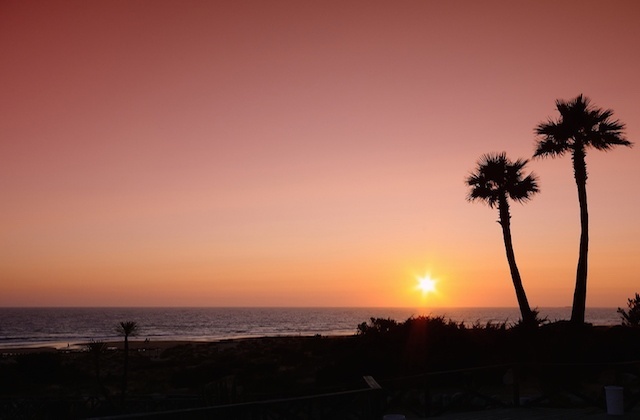 More than 120 kilometers of paradise extend through a Huelva full of nature, sunsets that make you fall in love and smiles with sea-water flavor. 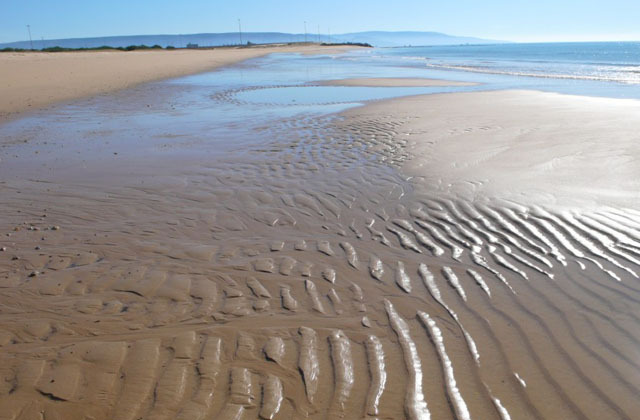 Lepe, Ayamonte, Cartaya, Almonte, Moguer, Palos de la Frontera, Isla Cristina and Punta Umbria are in charge of offering beaches flagged with the European quality recognition to all who want to visit its coast. 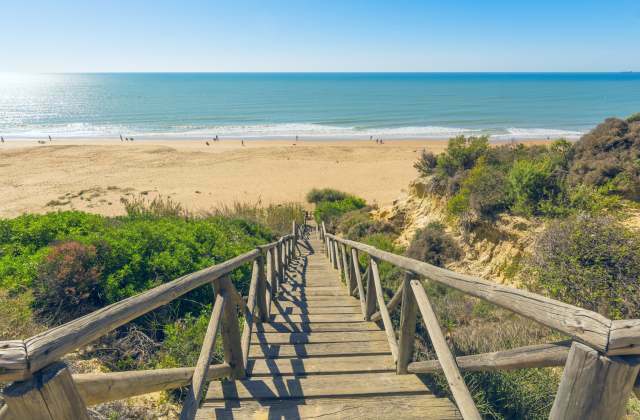 Huelva beaches are wide and with white sand where the dunes, water and pine forests merge, thus, offering from fully equipped beaches to solitary and wild places. 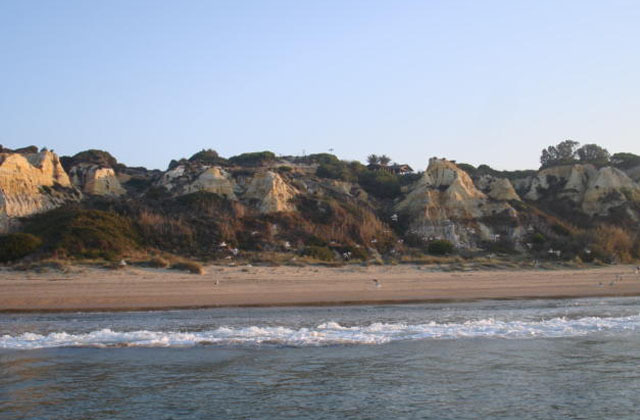 Amongst the beaches of Huelva, Mazagón is the most familiar. An urban area, this has multiple zones of access through the streets of the Huelva town. This space is ideal to go with children as you have many services at your disposal. It has parking, bar, showers, toilets, surveillance and emergency services as well as daily housekeeping and access provided with wooden paths. As part of the comprehensive coastline, it retains its natural value and the beauty of its surroundings. The beach at Isla Cristina is located on the opposite end of the fishing port and is characterised by dunes and native pine and Montebajo. The good thing about this place is that, in addition to preserving its pine forests and dunes, a range of services for the user are available. It’s a very dynamic part of the coast where you will see how many people do sport. Jet-skis are another attraction that you can find here to have fun with your kids in the waves. 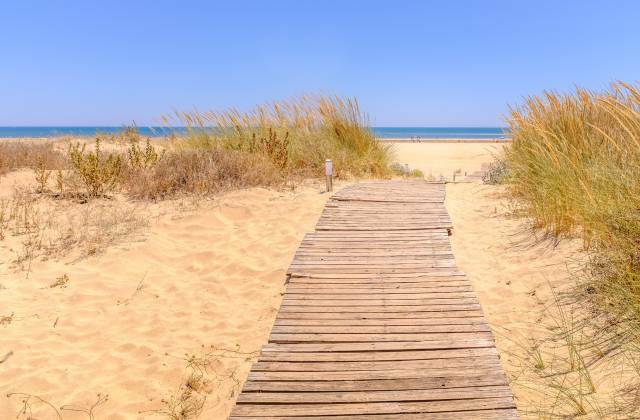 There is no better place to get lost and disconnect than on the beach at El Rompido in Cartaya, Huelva. The unspoilt vegetation, dunes and pine forests that accompany it make this area a dream place to find the peace and tranquillity we need to unwind from everyday life. 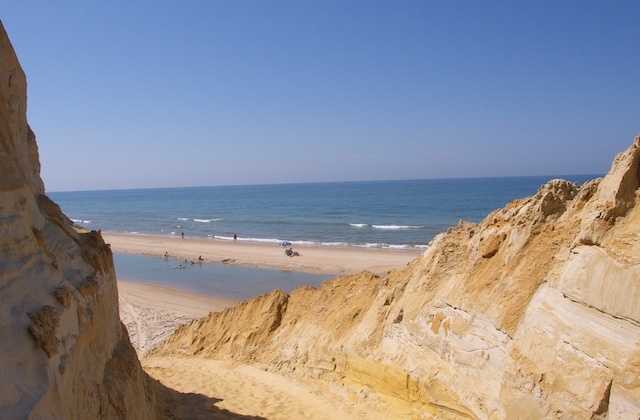 One of the peculiarities of this coast is known as Flecha de El Rompido, a unique sandy formation that opens to the Atlantic Ocean from an unspoilt beach accessible by boat. 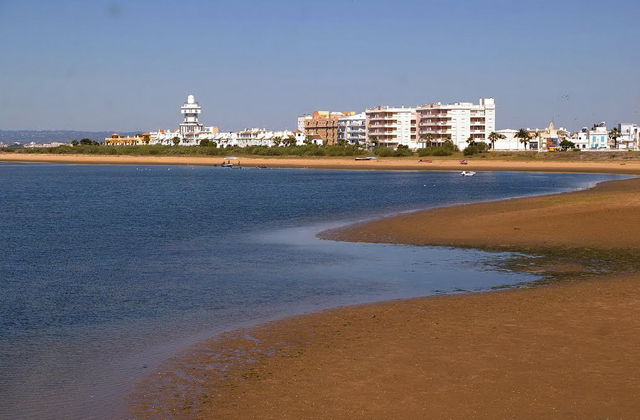 The Espigón beach, located in the municipality of the city of Huelva, is within the nature reserve, the biosphere reserve, the Marismas del Odiel. It was formed around a dune ecosystem due to its peculiar characteristics. This part of the Huelva coast is now open to bathers but there are areas with limited access and no buildings. It arose from the construction of the Dique Espigón Juan Carlos I at the entrance to the Huelva estuary. A lonely place to lose yourself and get away from the madding crowd. Also known as Rompeculos, in the middle of Doñana National Park. A true natural paradise on the Costa de la Luz. Far from civilization and, at the same time, minutes from tourist zones offering a variety of restaurants, hotels, water and sports activities. The wooden handrail that leads to the beach runs for 3,939 feet and is fastened into the sand dune system. It offers visitors the chance to enjoy fauna and flora. The place is much loved by fishermen and shellfishermen. There are two areas to choose from at the end of the path: to the right, the family zone and to the left, the naturist beach. The viewpoint of the Acantilado del Asperillo—regarded as a Natural Monument due to the wealth of its geological formations—stops time with its impressive views. It is all virgin beach, unexplored land and infinite water. 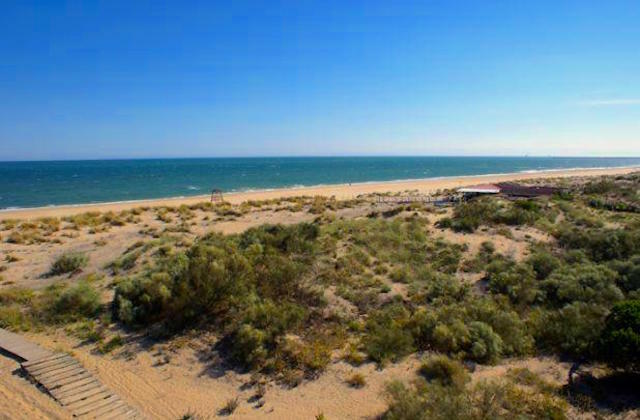 Punta del Caimán Beach is located in the municipality of Isla Cristina in Huelva. It is also known as Isla de la Gaviota, which continues along Cantil Beach and Central Beach until it reaches the mouth of the River Carreras. This is a very clean beach with crystal clear water, where you can enjoy a quiet day with family, friends, your partner or on your own, and enjoy the sun and nature with no worries. If you visit this municipality, be sure to visit this beautiful, magnificent beach, which you will definitely return to at a later date. What’s more, in the surrounding area you can rent a wide range of yachts for you to enjoy a beautiful, long sea trip. 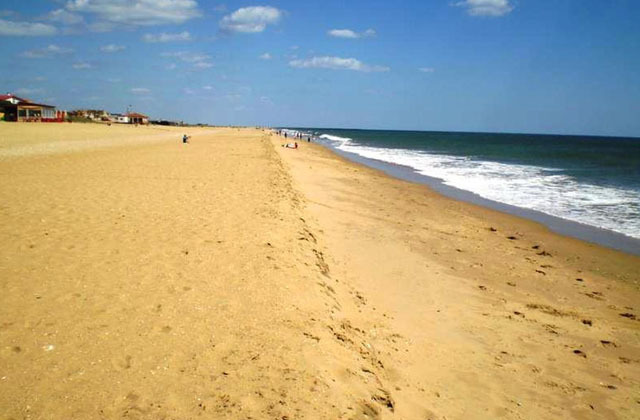 This beach is located at the crossroads between Portil-Punta Umbria and the motorway to Aljaraque and Huelva. It is the closest for all and known by its nickname, El Cruce. In summer is gets incredibly busy, but has a very spacious shore, where you can put your umbrella up without worrying about there being no space. The most characteristic feature of this beach is its shore. When the tide goes out, a saline lake is created in the middle of the shore, where the water that gets trapped is hot and little ones can enjoy playing with their parents as if they were in a totally natural child’s swimming pool. 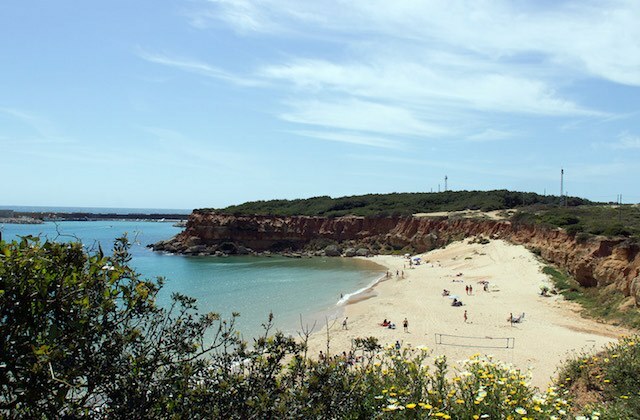 This beach, jointly held by the municipal borders of Moguer and Palos de la Frontera, stands at the foot of the cliffs and among pine groves opposite the Parador Cristóbal Colón de Mazagón. 6,562 feet of isolated beach very near the explosion of life that is Doñana Natural Park. It is easily accessed by car and has the blue flag and the Q of tourist quality. In addition to its fine, golden sand and calm waters, you can also explore its pine groves and eucalyptus trees just a few feet away. 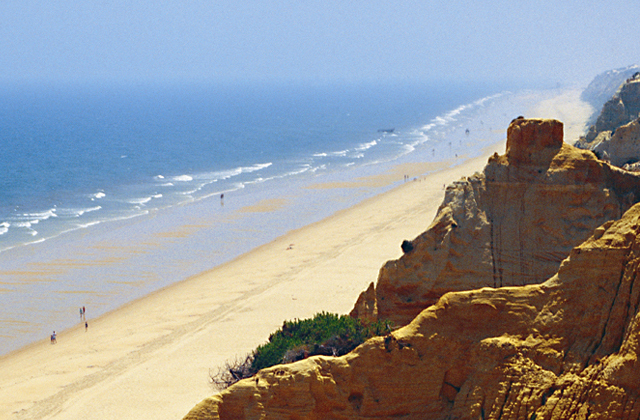 A spacious beach near Portugal and located in a natural setting of marshes, channels, sandy areas and dunes. It is 1,640 feet long and never gets too busy. Its fine, golden sand, moderate wind and calm waters make it an ideal beach for relaxing. You often find football teams like Seville doing some pre-season training in its water, playing like kids in the sand, but in the end training like professionals. As at La Línea de la Concepción, this locality has a Medieval watchtower, Canela Tower, situated between Ayamonte and Punta del Moral. So tell us: which one is your favourite? 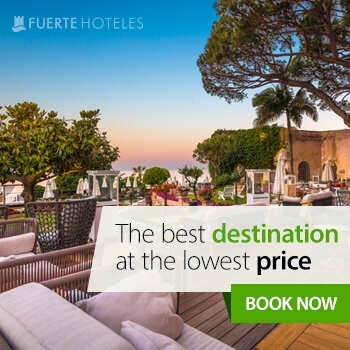 Fuerte Hoteles is the best hotel chain to stay in if you visit southern Spain. The chain has branches where you can enjoy the best of each area throughout Andalucia, in addition to its services. 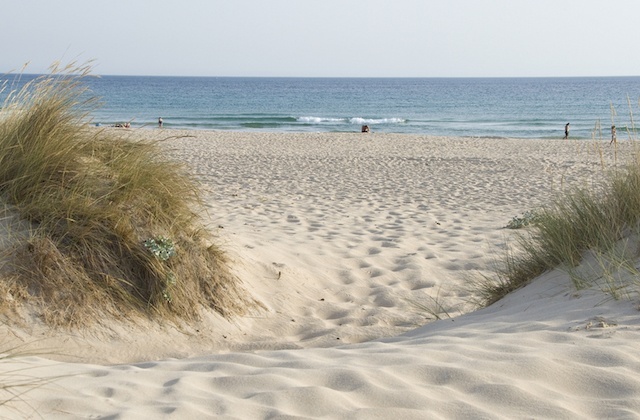 It boasts over 50 years of experience and gives you the time to discover these unspoilt beaches on the Costa de la Luz. Conil and El Rompido are some of the destinations bathed by this part of the Andalucian coast where you can find these incredible hotels.